Every year, Google takes over the Moscone Center in San Francisco (a convenient train ride away from me) and hosts a full-blown conference called Google I/O. The usual schedule consists of 2 opening keynotes followed by presentations and demos related to all kinds of Google technologies. Google I/O also gives you an excellent chance to mingle with developers from all over the world, network, and exchange contact information. My favorite part is something called Fireside Chats, where developers from a specific team in Google sit around, talk about their product, and answer questions. Oh, and of course, the swag and t-shirts with secret QR codes. Of course, what I/O nowadays would be complete without a whole series of Android-related keynotes? Last year, for example, Android 2.2 "Froyo," one of the most groundbreaking Android updates, was announced and demoed, and everyone in attendance received an EVO 4G a whopping 2 weeks before the phone's official release. That's in addition to getting a free Droid or Nexus One just for signing up. Let's just say we're excited to go this year... *cough* tablets *cough* Honeycomb. 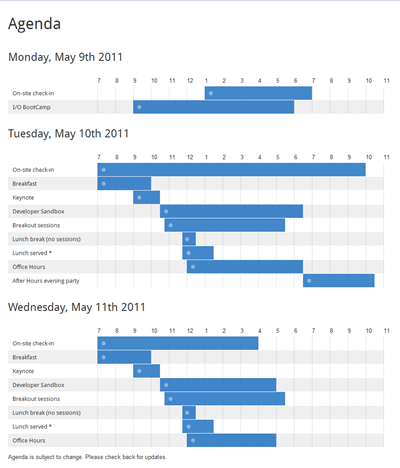 When: Google I/O 2011 starts on May 10th and ends on May 11th. Where: Moscone Center in San Francisco (747 Howard Street, San Francisco, CA 94103). Who: Around 5500 developers and members of press. Unlike CES, all sessions are open and no pre-scheduling is needed. 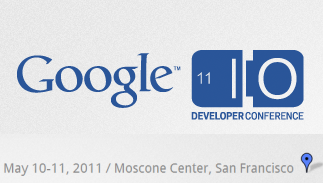 Note: Registration is not open just yet - follow the site or @GoogleIO to find out when it will open up. Update: According to Vic Gundotra, who spoke at the Day 2 keynote of last year's Google I/O, general registration will begin on February 7th. The keynotes will be streamed live online, just like last year. 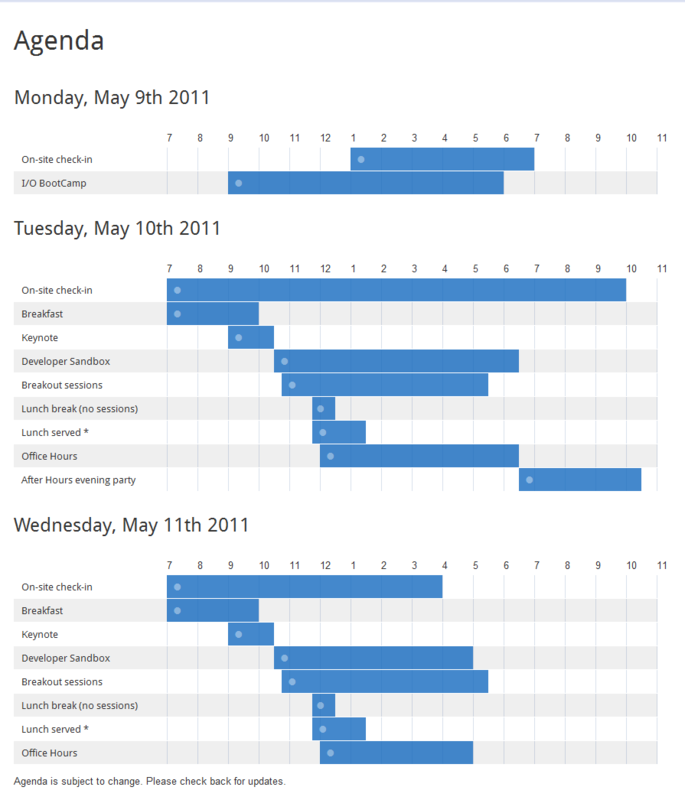 For more information on Google I/O, visit the official Google I/O 2011 site and keep an eye out for the official Google I/O Android app, which should come out later. So, who else is massively excited?